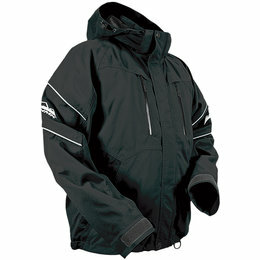 For more extreme temperatures, the Arctiva Insulator series provides the additional warmth required. 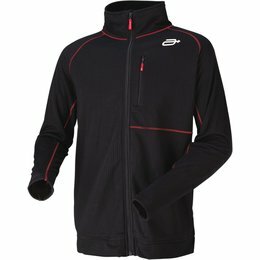 The Insulator gear is made of a blend of micro polyester fleece/Spandex and combined with Evaporator or Regulator layers provides extra warmth in extremely cold environments. 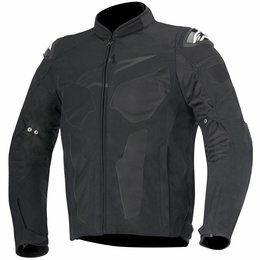 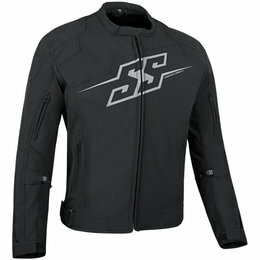 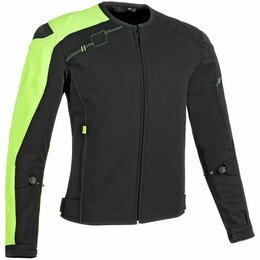 The Speed and Strength Light speed textile motorcycle jacket has an AR1000 super stretch-fit frame and features Vault CE approved shoulder, elbow and spine protectors. 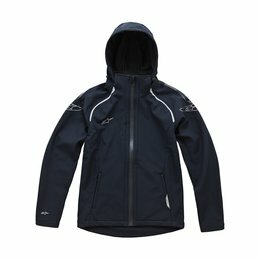 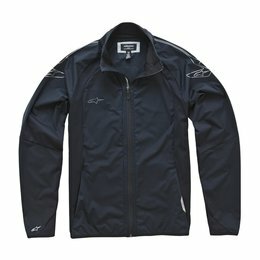 The jacket boasts reflective trim for better visibility and has a Speed Zip controlled ventilation system for proper airflow. 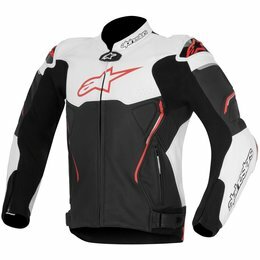 For an adjustable fit, a molded Strong Arm sleeve adjuster and Lockdown waist adjuster is included as well as belt loops for pant attachment to prevent the jacket from riding up. 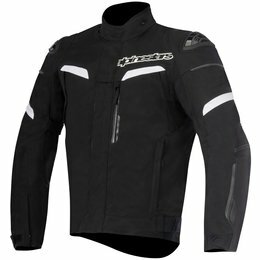 The Speed and Strength Backlash textile motorcycle jacket is made from an AR500 super stretch-fit frame and features removable Vault CE approved shoulder, elbow and spine protectors. 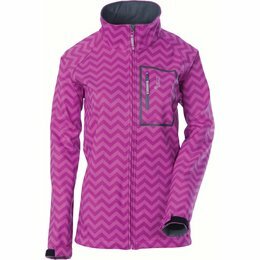 The jacket boasts reflective trim and logos for better visibility and has a Speed Zip controlled ventilation system for proper airflow. 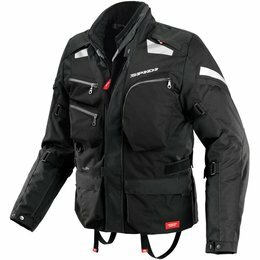 A molded Strong Arm sleeve adjuster and Lockdown waist adjuster are included for an adjustable fit as well as belt loops for pant attachment to prevent the jacket from riding up. 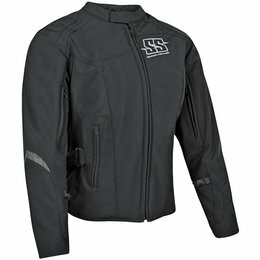 The Speed and Strength Hammer Down textile motorcycle jacket has an AR500 super stretch-fit frame and features removable Vault CE approved shoulder, elbow and spine protectors. 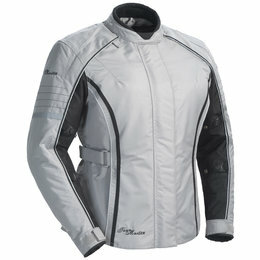 The jacket boasts microfiber-lined cuffs and reflective trim and logos for better nighttime visibility. 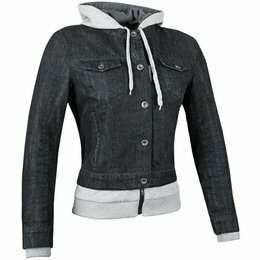 For an adjustable fit, a molded Strong Arm sleeve adjuster and Lockdown waist adjuster are included. 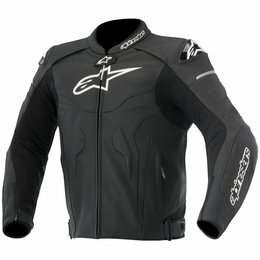 A Speed Zip controlled ventilation system for proper airflow and belt loops for pant attachment to prevent the jacket from riding up. 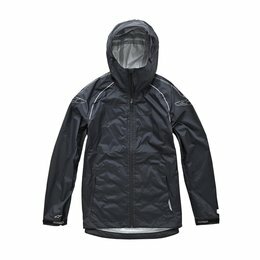 The T-GP R Air jacket incorporates a durable, abrasion-resistant poly-fabric main shell with strategically positioned mesh panels for unsurpassed airflow. 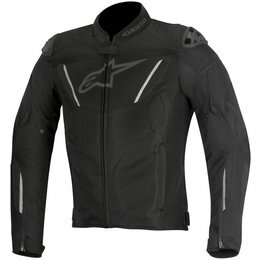 Featuring a range of CE-certified, class-leading protection, this jacket is compatible with Alpinestars' textile riding pants to form a superb sport riding ensemble. 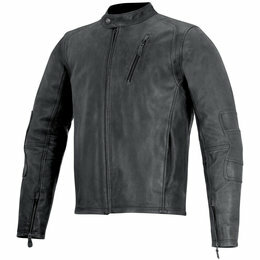 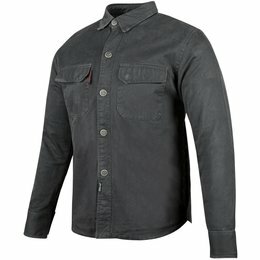 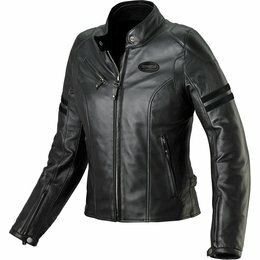 With each garment hand-finished to ensure a wholly unique, personal and heritage look, the Monty leather jacket beautifully fuses form and function with a premium full-grain leather main shell which subtly incorporates class-leading shoulder and elbow protection for safe and stylish performance.